Justin Bland is a PhD student in Hispanic Linguistics. His areas of concentration are sociolinguistics and phonetics and phonology. Within these areas, he is interested in corpus and computational approaches to sociolinguistics, second language phonetics and phonology, and the linguistic situation of Portuguese speakers in the United States. 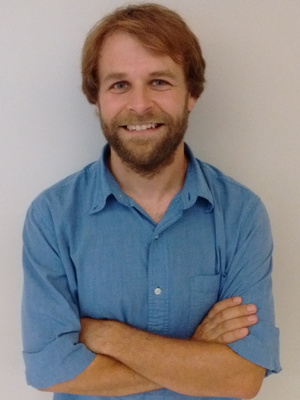 His current research projects include investigations on the acoustic correlates of stress in second language Spanish, geographic variation in voseo on Spanish Twitter, and the rise of the because-X construction on English-language social media. He received his BA in Spanish from St. Lawrence University in 2003, after which he worked in academic administration at the Massachusetts Institute of Technology and Virginia Tech. In 2016, he earned his MA in Foreign Languages, Cultures, and Literatures (Hispanic Studies track) from Virginia Tech, where he completed a master's thesis on the second-language acquisition of Spanish vowels.